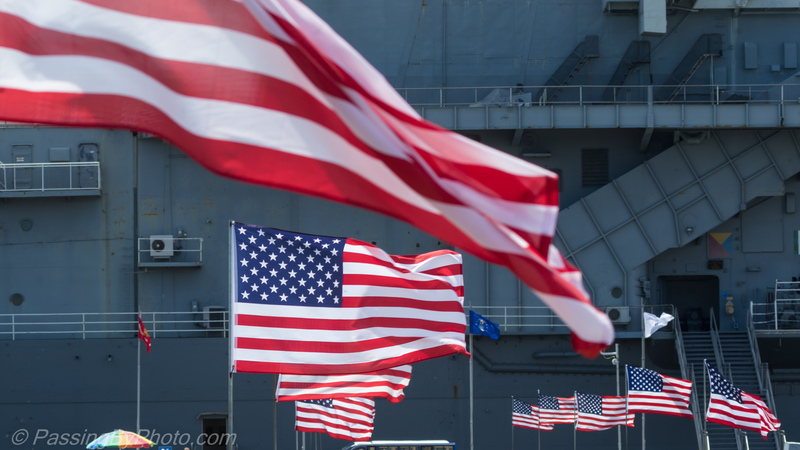 Flag Day commemorates the adoption of the Stars and Stripes as the official flag of the United States on June 14, 1777. Various local and state celebrations of the anniversary date back to at least 1885 and National Flag Day was adopted in 1949. 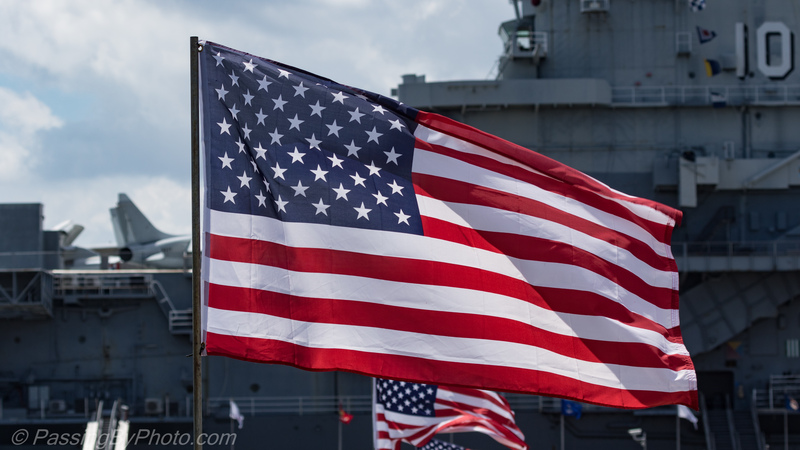 Patriots Point Naval & Maritime Museum proudly displays the US Flag every day. 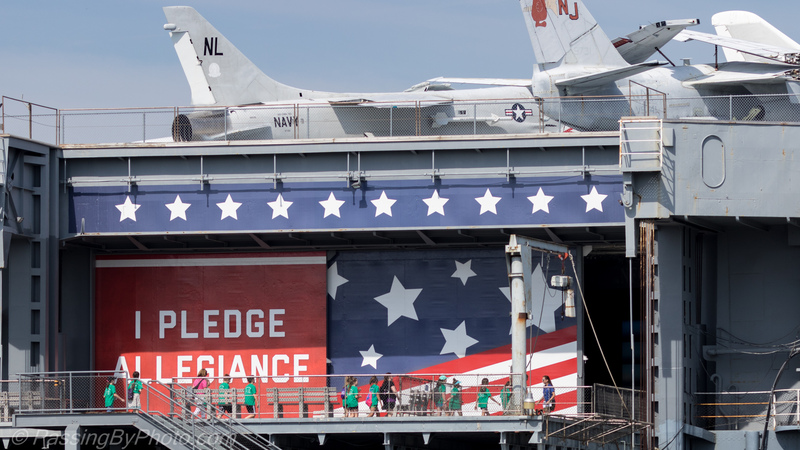 This banner serves as an additional patriotic reminder as you approach the aircraft carrier. Patriots Point Naval & Maritime Museum, Mount Pleasant, SC.